"Deborah Duncan" did it too! Ultrasonic Cavitation is highly effective in destroying stubborn fat from the waists, love handles, hips & thighs so the body can eliminate the melted fat naturally. 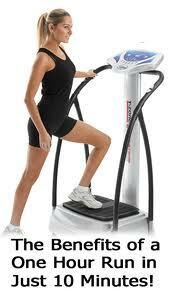 The NEWEST technology Anti-Cellulite vacuum therapy is used to loosen hard, dimpled fat that is found on thighs. Cellulite vacuum therapy is one of many therapies used to tackle the hard-to-shift, dimpled fat that is often found on thighs, knees, buttocks, stomach and the tops of arms. Radio Frequency ideal for those tell-tale signs of aging on the face & neck by firming and lifting lax skin without surgery. Also used for Double Chin Reduction. Get a fresher appearance in a lunch hour. Learn More... . Call SHRINK Studios at (832) 353-5045 in Houston for non-invasive lipo that yields amazing and immediate results.